Summer is here and that means it’s time to hit the beach! 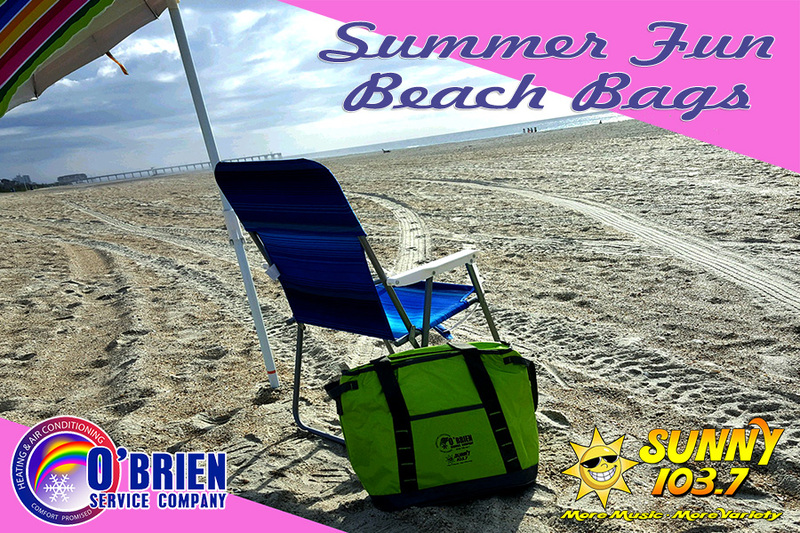 We’ve got the perfect bag for you to take – the Sunny 103.7/O’Brien Service Company Summer Fun Beach Bag! Listen ALL DAY Thursday, June 14th to call in and win yours from our friends at O’Brien Service Company, your local air conditioning pros since 1981!